NHBC warranty or collateral warranty? Clients often ask whether a NHBC warranty and a collateral warranty provided by members of a construction team are of equal value. They are not. They offer different types of protection. The distinction lies in the purpose for which each is provided. If you are buying or renting a property that is new or less than 10 years old then the property is likely to come with the benefit of a NHBC warranty. This should be sufficient for your needs. There is no need to worry if a warranty from another provider has been provided (NHBC are only one provider), but it is a concern if no such cover is in place as mortgage providers usually require a warranty of some form. The main advantage is that all defects are remedied in the first 2 years of cover (which is when most defects are likely to appear). If you are a funder, developer, contractor or other commercial entity then it is likely that you will not be a mortgagee and so you cannot receive the benefit of a NHBC warranty. 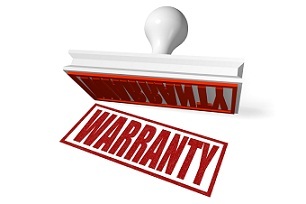 Therefore, a collateral warranty should be obtained (if such protection is required). Period of cover? 10 years from date of first legal completion (i.e. when property is first sold by the builder). Will run from the date when the contract was breached, being:· 12 years (if warranty executed as a deed); and· 6 years (if warranty not executed as a deed). Tiered period of cover? Between years 0-2, anything not in accordance with NHBC standards is put right.Between years 3-10, damage to specified parts of your home (essentially the structural elements) is put right but value of claim must be above the minimum claim value (which from 1 April 2016 will be £1,500 and increases by £50 each subsequent year). Can recover losses where party giving warranty has breached terms of warranty. Caps on liability? There is an overall cap which varies depending on whether the works have been completed or not. This depends on the terms of the collateral warranty. It may or may not contain caps on liability. Exclusions of cover? Certain losses cannot be recovered (e.g. loss of profits and fit out of premises). This depends on the terms of the collateral warranty. It may or may not contain exclusions on the type of losses that can be recovered. Other things to note Cover is provided during the carrying out of the works and up to 10 years after completion even if the builder becomes insolvent. If a party giving a warranty becomes insolvent then recovering your losses are remote.Depending on the wording of the collateral warranty, it can allow the beneficiary to exercise rights of “step-in” in the event of default so that the beneficiary can complete the development. e.g. NHBC Buildmark warranty for private homes. Do note that other warranties exist not only from NHBC but from other providers.